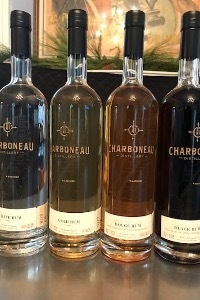 Charboneau Rum in Natchez is the first legally distilled rum produced in Mississippi. 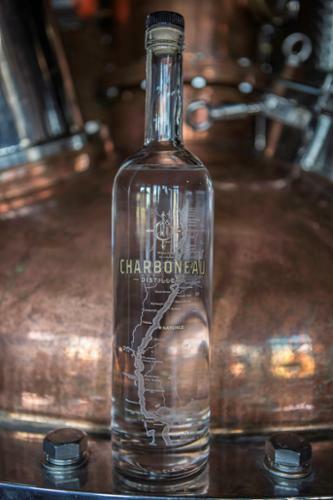 The Charboneau Distillery building was restored by Douglas and Regina Charboneau. The couple purchased King's Tavern in 2013, converting the former bar area to use as the Distillery, with the intent to celebrate the art of hand crafted food and liquor. Doug and his son Jean-Luc have are committed to being one of the little guys and bringing something different and interesting to the community. The distillery is open for tours and is located next to King's Tavern Restaurant where you can enjoy an extensive menu of appetizers, wood fired flatbreads, pot pies with bacon-biscuit crust and hand crafted desserts and cocktails. Upstairs, the building also houses a Craft Liquor store where you can purchase Charboneau Rums and other local and craft spirits. 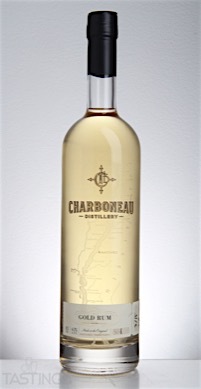 Our first product, Charboneau White Rum, was released in Nov 2014. This rum is made using Raw Sugar and Molasses sourced from a LA sugar mill a few hours away. 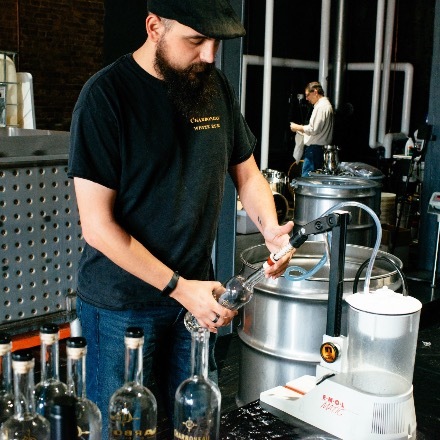 Fermented in small (300 gal) batches and distilled in our 150 gal copper pot still with a 4 plate column, we believe we extract the best from our batches, personally selecting our heads, hearts and tails. We proof with filtered Natchez city water, voted the best municipal water in MS in 2014. 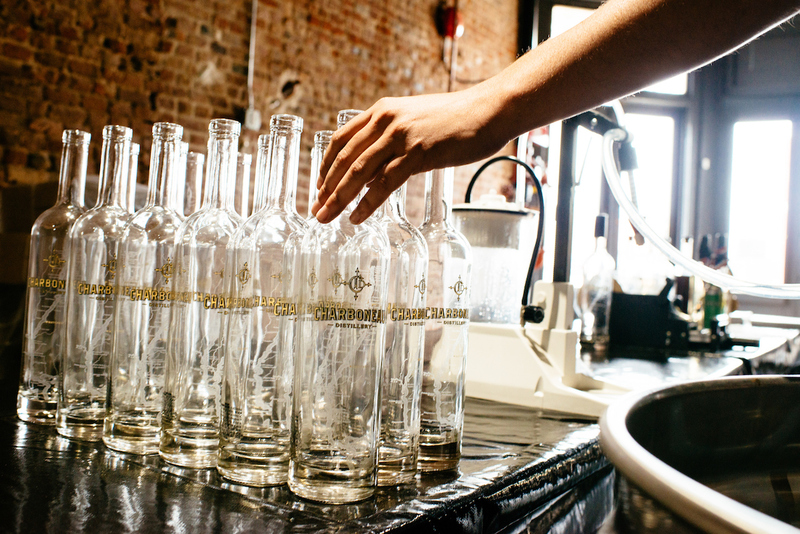 Hand bottled and labelled, we literally hand create each bottle just for you. Our Rum is transferred into 15 gallon used Bourbon barrels, sourced from the award winning Garrison Brothers Distillery in Hye, TX. 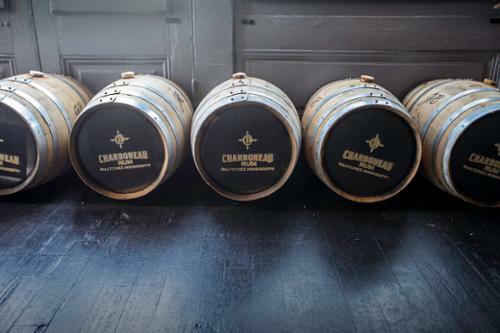 The Gold Rum is matured for less than one year (usually 6-7 months) for our first use of the barrel. 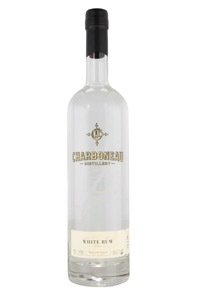 This matured Rum is brought down to 80 proof by the addition of award winning Natchez city water that has been filtered through a reverse osmosis filtration system to ensure as pure a water source as possible. After reaching 80 proof the Rum is hand bottled. Our Gold Rum is not filtered and is bottled within days of being released from the barrel. Each batch is a single barrel expression, never blended. We let each barrel tell its own story. 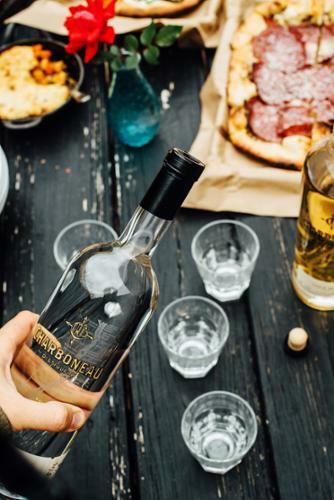 This specialty Rum is matured in red wine barrels, specifically used Charbono 59 gallon barrels from Robert Foley Vineyards in Napa Valley CA. The maturation lasts at least one year. The influence of the red wine and the toasted staves creates a smooth and unique flavor not found elsewhere in the Rum world. This expression is for all the Coffee lovers. Using coffee beans roasted to our specifications by Dub Rogers and his crew at Steampunk Coffee here in Natchez we make cold brew coffee directly from our 80 proof White Rum just before bottling. In 48 hours the coffee flavor and deep black color have been created resulting in a Coffee Rum just waiting to be finished in whatever manner you take your daily Coffee. We believe this to be the only 80 proof Rum based Coffee expression in the world. While we do not have the budget to send our Rums to every Spirits competition or rating service we do participate in the tasting at the American Distilling Institute (ADI) annual convention and Rum ratings done by the Beverage Testing Institute (BTI) in Chicago. 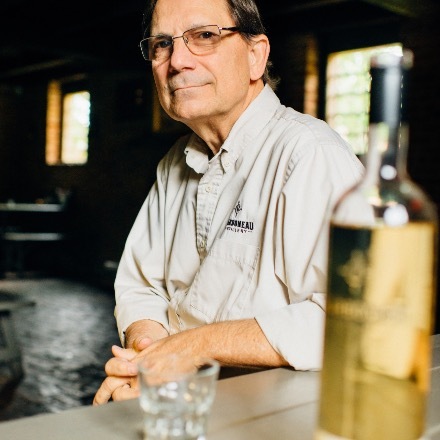 this is the highest rating ever given to an American made White Rum, and it has not been matched or surpassed in ratings since 2015.
this is the highest rating for a true (less than 1 year of maturation) Gold Rum in the World, and it has not been matched or surpassed in ratings since 2016. We spent considerable time and effort in designing our packaging, which we intend to use for all of our expressions. Working with the award winning designer David Schuemann and his team at his firm CF Napa Brand Design we created a personal package that represents who and where we are. A screen-printed representation of the Mississippi river from Greenville MS south to the Gulf is the theoretical area in the lower river valley where sugar cane can be grown. Our hometown of Natchez MS is highlighted in Gold. This screen-printing is permanent, allowing us to reuse bottles we recover from their use at the restaurant next door, Kings Tavern. Tour Price $10 - includes samples inside the Distillery and a drink afterwards in Kings Tavern. 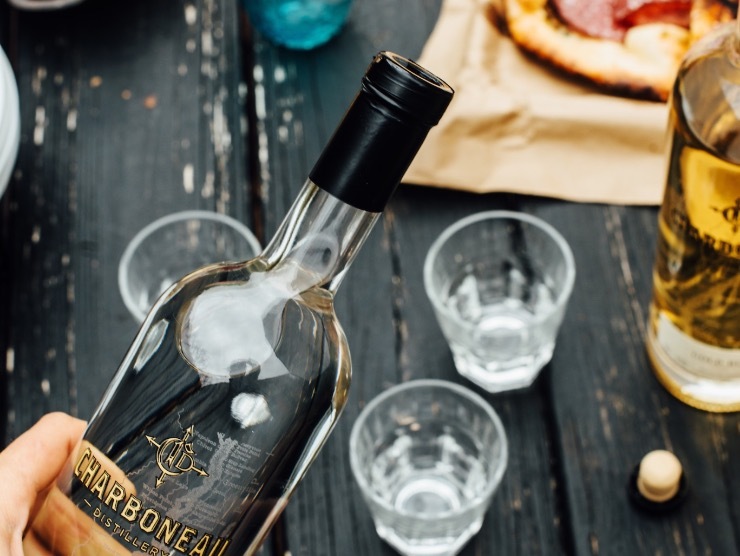 Charboneau Rums are the result of the dream of Doug to one day make and mature Rums from the nearby sugar cane fields in Louisianna. 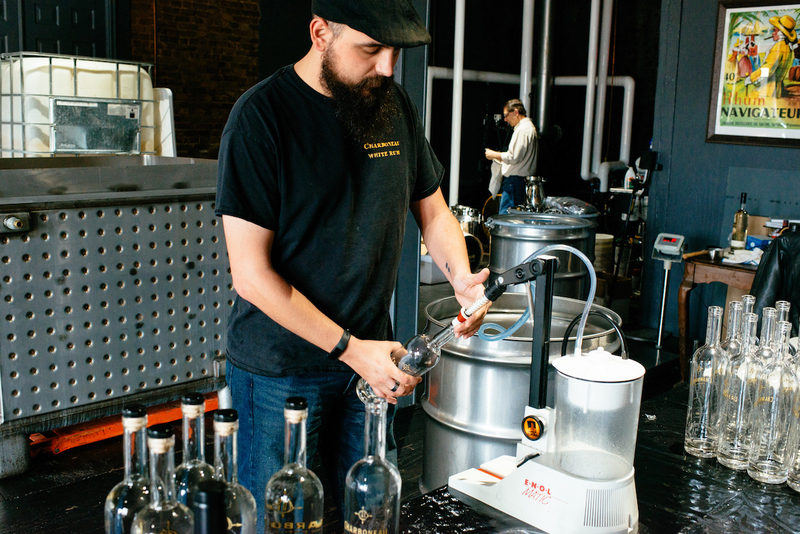 Jean-Luc works every day to ferment, distill and bottle our Rums. His personal attention assures the quality of our expressions. 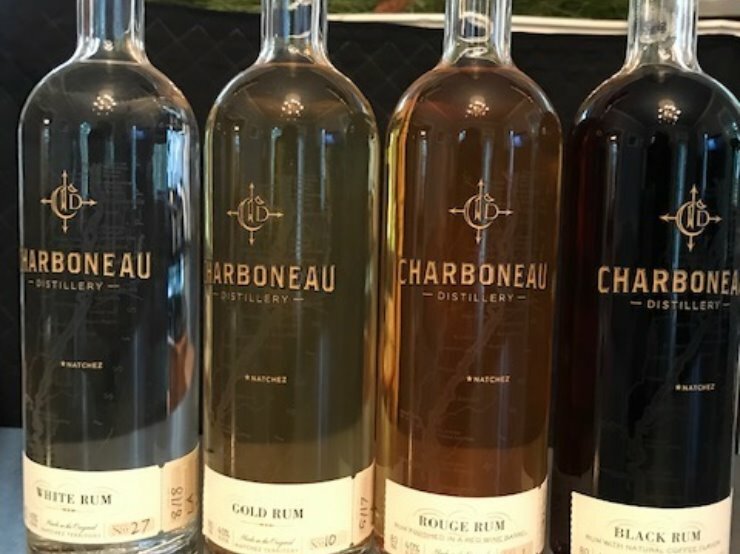 Our Rums are available for purchase online and can be legally mailed direct to your doorstep if you live in the forty states (see the list on their site) that our partner, cellar.com, services. We have been featured on The P. Allen Smith syndicated show - click below to see us in action.